We are a leading Manufacturer of automatic pouch packing machine, automatic packet packing machine, pepsi pouch packaging machine, pepsi pouch packing machine, automatic pouch packaging machine and mineral water filling pouch packing machine from Ahmedabad, India. 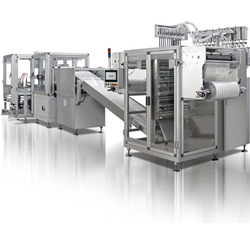 From the day of commencement, we are engaged in bringing forth the clients a comprehensive assortment of high performing Automatic Packet Packing Machine. Manufactured using quality approved components, the range is featured with a self-diagnosis failure function for providing a clear display. 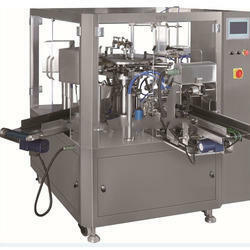 We are a renowned organization, which is engaged in delivering Pepsi Pouch Packaging Machine to respectable clients. 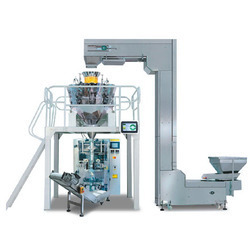 The offered range of pouch packing machines is made utilizing high grade raw material and highly advanced technology in complete adherence with the international quality norms. 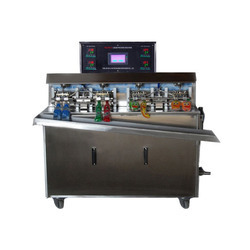 Available with auto water level control, the offered range is ideal for buttermilk, milk, cold drink, Pepsi Cola, juice, candy, water and all types of liquids. 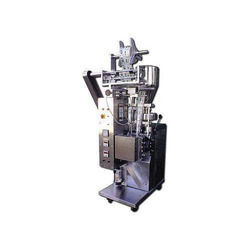 In order to comprehend and meet the diverse requirements of esteemed clients, we are able to offer Pepsi Pouch Packing Machine. 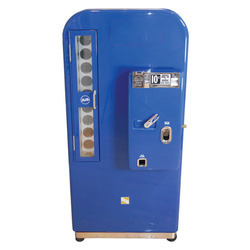 The offered range of Pepsi cola machines is made utilizing high-grade raw material and innovative techniques in complete adherence to the international quality norms and standards. Along with this, the offered range of machines is known for its low maintenance and durability. 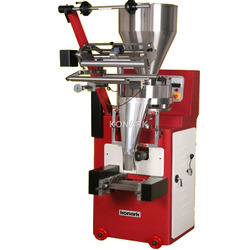 We are offering Automatic Pouch Packaging Machine to our clients. 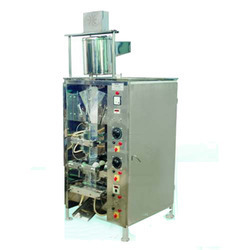 We hold immense expertise in providing the customers with highly efficient Mineral Water Filling Pouch Packing Machinery. Our range is manufactured in strict accordance with the global quality standards by employing superior-grade components and advanced machinery. With firm commitment to quality, we have been able to provide the customers with a remarkable assortment of Mineral Water Pouch Packing Machinery. Manufactured using superior-grade components, the range is extensively demanded in diverse industrial sectors for varied applications. Abiding by the ethical norms & standards of the organization, we have been able to put forth the clients for a comprehensive assortment of FFS pouch packing machine. We manufacture the range in strict accordance with the global quality standards by employing superior-grade raw material, which is procured from the reputed vendors of the market. 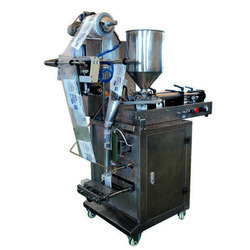 We are prominently engaged in delivering Pouch Packing Machine at clients' premises. Known for packing Pepsi cola & juice at a wide scale, the offered range is ideal for keeping the products safely and protected seal at four ends. 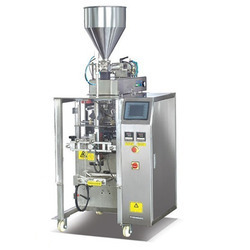 Along with this, the offered range of pouch packing machines is widely acclaimed among the clients for its features such as noise-free performance, resistance to corrosion & trouble free operation. This range operates at a speed of 2000 to 2400 pouch per hour. To append and meet the diverse requirements of esteemed clients, we are able to offer a comprehensive assembly of Mineral Water Packing Machine. The offered range ensures washing, filling and sealing. 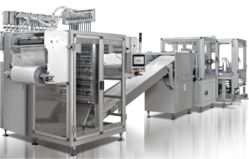 Along with this, the offered range of mineral water packing machines is ideal for polyester & plastic bottle filling of mineral & purified water. 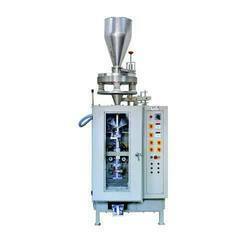 We are suppliers of Liquid FFS Pouch Packing Machine to our clients. 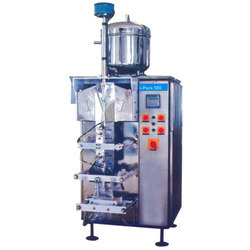 We are a reputed business entity engaged in fulfilling the diversified demands of the customers by bringing forth a commendable assortment of Mineral Water Pouch Packing Machine. Developed in conformation with the global quality standards, the range is widely demanded in a plethora of industrial applications for hygienic packaging of mineral water.